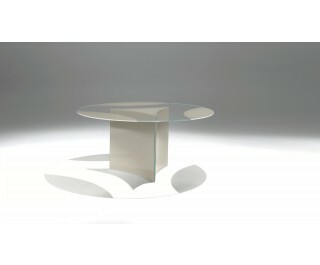 Table with circular top made of 12 mm extra-clear tempered glass, with partly lacquered back. Supported by three 10 mm extra-clear tempered glass curved panels with lacquered back. Opaque lacquers.